A slew of sensors will now recognize your face, even in the dark. Apple has just revealed Face ID, a new facial recognition feature that will make its debut on the iPhone X. The technology is powered by what the company calls a True Depth camera system, which is made up of a bunch of sensors that detect your face, even in the dark, and let you unlock your iPhone by simply looking at it. Altogether, Face ID uses ambient light, infrared and proximity sensors, as well as a flood illuminator, speaker, microphone and, of course, the front camera to make the "magic" happen. Meanwhile, a newly minted, dual-core A11 Bionic neural engine will process that information. 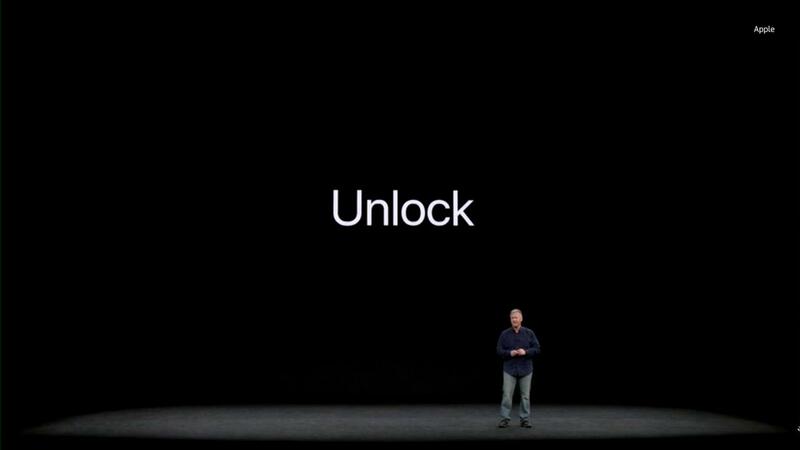 Naturally, since there's no longer a home button with Touch ID, you'll use Face ID for your Apple Pay transactions. Apple says not to worry about randoms trying to get into your phone, as iPhone X can't be spoofed by photos and all the data processing is done on the device itself. That means everything is encrypted and none of your info is sent to the cloud. According to Phil Schiller, Apple's senior vice president of worldwide marketing, the chances of someone stealing access to your iPhone X is one in a million, compared to one in fifty thousand with Touch ID. But what if your look changes over time? Like, say, you grow a beard or suddenly start wearing a cowboy hat... well, Schiller says Face ID is smart enough to recognize that. We'll see just how accurate the new feature is when our own Chris Velazco, senior mobile editor, checks out the iPhone X at Apple's spaceship-looking campus later today. Stay tuned.